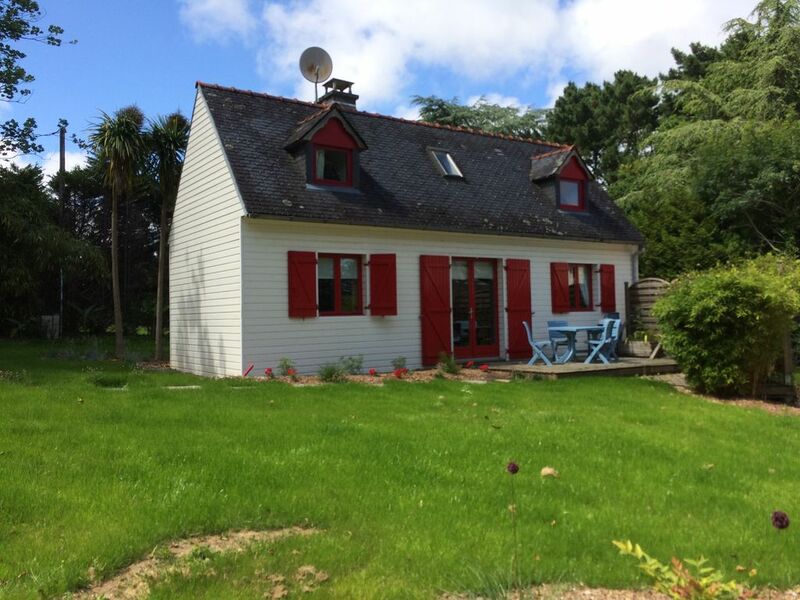 Detached house in the heart of the Bois de Penfoulic 2 km from the beach of Cap Coz. In the shops of Concarneau, walks places and beaches. cozy wooden house, ideal for a quiet family (5 persons max). Located in the forest, nature and tranquility are the appointment. Way of private access from the road, house with two terraces, private parking. Comfort. Lovely property and beautiful area. The cottage is lovely. It is well equipped, clean and tidy. The owners were friendly and very welcoming. The cider, pancakes and cool water were very much appreciated on our arrival. The nearby beaches are beautiful. We would definitely visit again. The house in general is nice and suitable for a family, with a nice terrace and garden. It is a quite place (next to a forest), nevertheless a supermarket, the village etc. can be reached in some minutes. You can also reach beautiful beaches and other areas of the Bretagne very easily. Unfortunately we had one problem after our stay: the owner has not returned the deposit: e.g. they complained the damage of rotten garden chairs even though they were in a very bad condition at our arrival. They demanded the payment of the end cleaning on our last day even though this hasn´t been published on their site of the house before. The additional high costs (linen, towels and end cleaning) have not been published on that site (also no advise that it will be required to bring your own linen). Tout ce que l'on peut attendre d'une location. Bien équipé, propre et bien conçu pouvant accueillir une famille complète. Isolé, donc trés calme, mais à proximité du village et de tous les commerces incluant une grande surface. Un lieu central pour visiter tout ce que la Bretagne du sud peut offrir. Ideally located in the town of Concarneau, 8 km from Concarneau and Benodet, multitudes of activities, walks and beaches.